The oddly named cascade is Massachusetts' highest single drop waterfall at 60 feet. If you stand at the top of the falls, the "Summit," you can see clear across Massachusetts into New York. 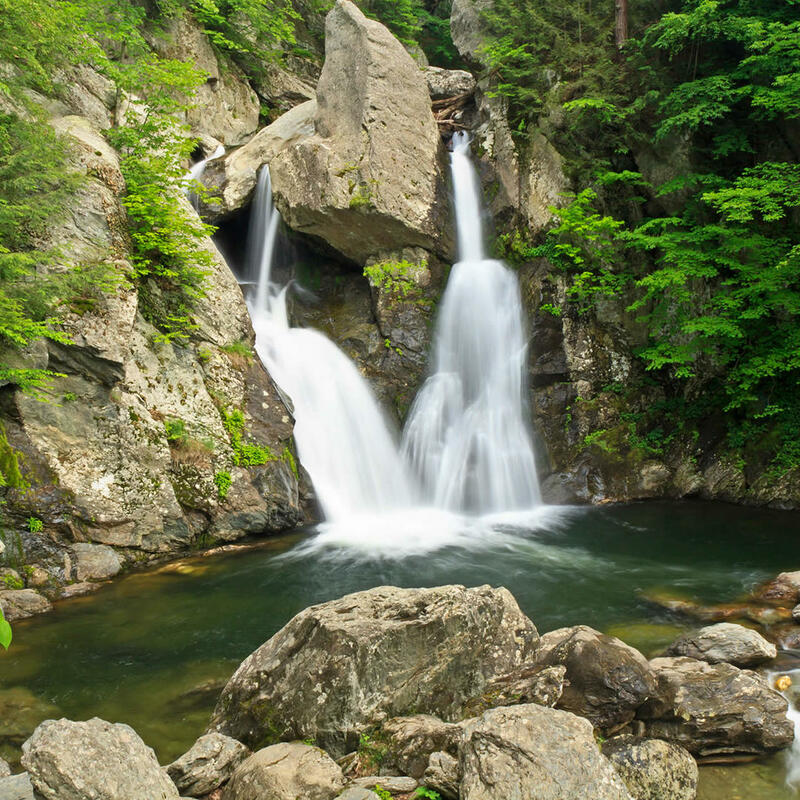 Bash Bish Falls is rocky and steep but a nice hike where you can finish off with a dip in the pools of water below the falls.